In case you can’t tell from last week’s post, Scotland is absolutely stunning. And it’s one of those places that is filled with beauty, history, Scottish hospitality, and such a relaxing feel to it. On this past trip, I decided to do things a bit differently than I had in the past. Previously I’d stay one or two places and wouldn’t venture out a ton. but this time around I wanted to go touring Scotland. I absolutely love Edinburgh. The history that surrounds you every where you turn is so cool, so I decided we should use the city as our home base for the 4 days we were there. From there, I was all for figuring out how to see as much of Scotland as possible in a short period of time. I figured that we really had two options. We could either A) Take the train and go explore ourselves or B) Take some tours. I was kinda thinking along the lines of option A, but luckily my sister is way more organized than I am so she was searching for tours. She showed me this touring company called Highland Experience and quite honestly, we never looked back! They had a ton of tours, and luckily our timing was perfect as the touring season was nearing a close around mid-October. Whew! I wish this photo did Glen Coe justice … stunning, peaceful, and it definitely leaves you in a state of awe. 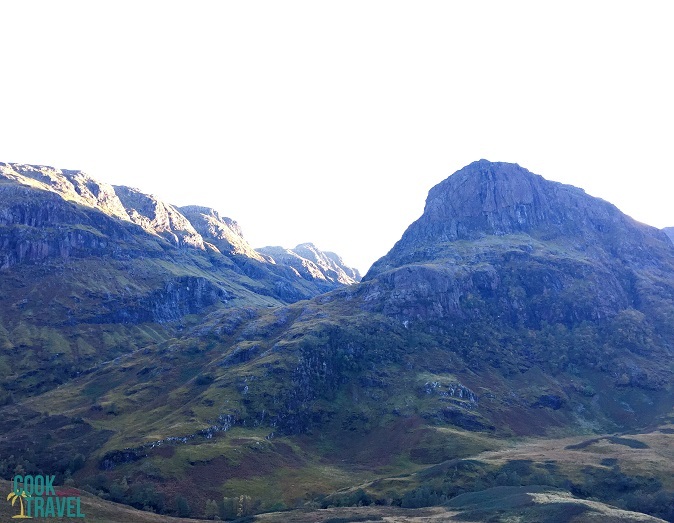 We ended up taking 3 tours … one for each full day we were in Scotland. And quite honestly it was the best decision we made visiting the country, if you ask me. Reasonably priced – The first thing I asked my sister was: How much does it cost? After all, it’s not like I wanted to spend an arm and a leg, since we had a rail pass. The answer was that the tours ranged from 39 to 49 pounds for a 1 day tour. That seemed pretty reasonable to me. Although that doesn’t include food or entry into a few locations, but to me, it was totally worth it! Meeting Spot – All of the tours from Edinburgh left from the same spot, making it really easy to remember for each day. Plus it was a perfect location. Located on the popular Royal Mile, you’ll meet at Cafe Nero, which means you can grab breakfast or a drink before you depart. So nice! Tour Guides – The Highland Experience’s tour guides were fabulous! Their stories and history lessons of each place you travel are wonderful for helping you appreciate your surroundings. And they all tried to play some Scottish music to get you in the spirit on the long drives from one spot to another. And they know all of the great scenic spots to hop off for a photo-op detour! Gotta love when the tour guide surprises you with a stop at the oh-so-lovely town of Inveraray, Scotland! Small or Large Groups – You never know what you’ll get with each tour when it comes to how many fellow tourists there will be. You may have a large group that is on the tour, or it may be as small as 5 people. So long as you have at least 5 people on the tour, then you’re good to go! It’s a total win when you get to go on a smaller tour as there is a lot more flexibility with where you get to go and how long you can stay at certain spots. Plus you get to know your fellow tour-mates a lot better when it’s a smaller group, which is pretty fun. Lots of Variety – These tours offer so many different opportunities. 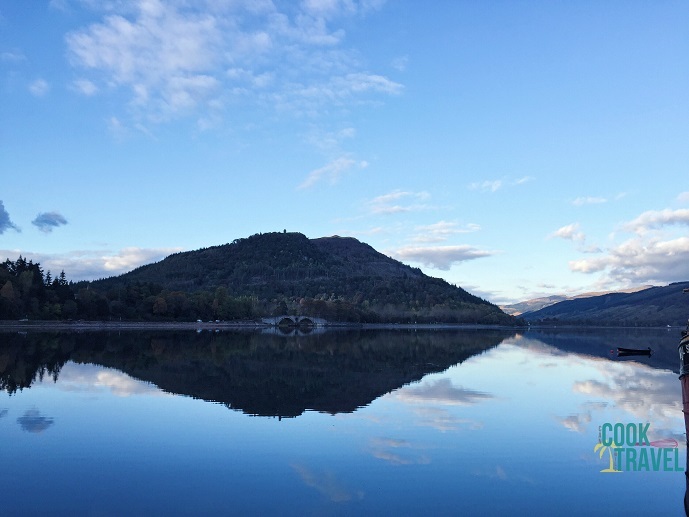 You will get to see historic sites like churches and castles, discover seriously picturesque towns and amazing landscapes throughout the entire trip plus a few surprises along the way. Hey, you may be the lucky person who gets to see Nessie … you just never know! But you’re sure to find a tour that will be exactly what you’re looking for. 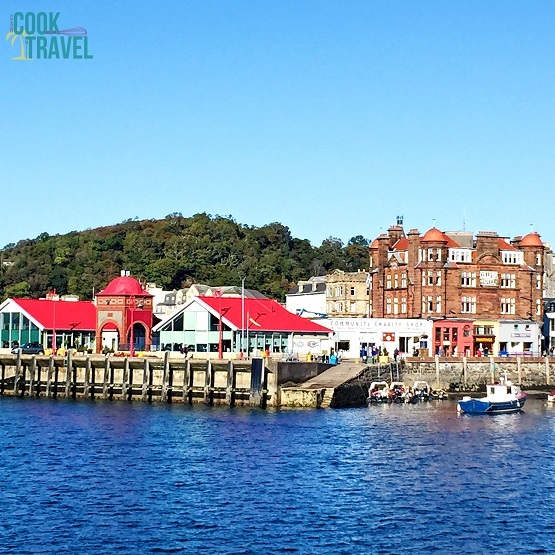 Let’s talk about adorable towns … like Oban! It couldn’t be cuter if it tried! A Tour to Fit Your Vacation – Whether you just have time for a 1 day tour, or you want to have an extended adventure with a 2 day or up to 8 day tour … lots of options await you! So when you’re ready to head to Scotland and want to see as much as possible, then this is the way to do it. The Highland Experience is convenient, super fun, a bargain (if you ask me), and the company is a joy to work with. Everyone is so nice and clearly loves their jobs. In case I haven’t convinced you yet, stay tuned for the fun details of our tours. 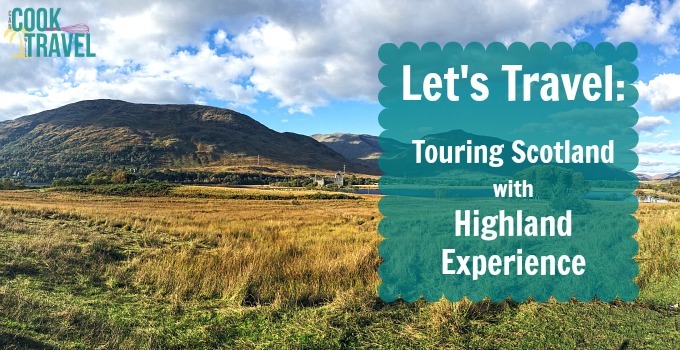 I have a feeling you’ll also find that the Highland Experience is the best way to see Scotland with ease! Stay inspired & experience Scotland!